All tunes were rearranged and recorded with new compilations. The album with the high vibration is full of praying songs and festival songs! 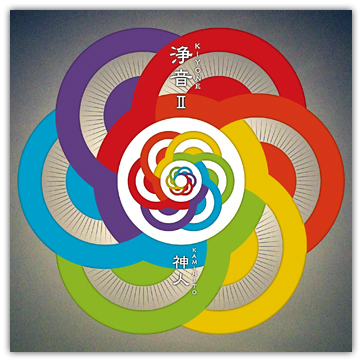 This CD may become an encounter to lead you to your awakening! “Sounds of Requiem” was renewed as “Purification” and “Calmness” and were placed in the beginning and the last of this album. Rereleased on December 25, 2010. KAMIHITO sings all songs playing the guitar. Those songs are arranged as simple as possible, featuring the atmosphere of singing while playing the guitar. Some songs that are not played in the live show are included. All tunes are arranged with unhurried tempo. 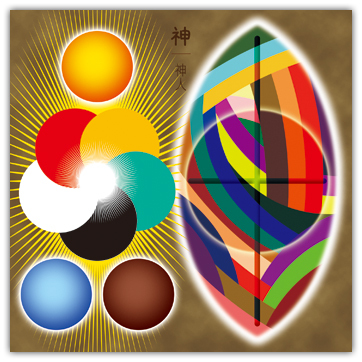 “Dripping” was included in place of “Festival”. Rereleased on November 1, 2010. 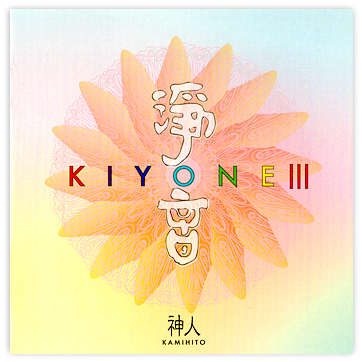 “The Earth” is KAMIHITO’s first original song written in 2000. This song is like a love letter expressing his gratitude toward God of the Earth. 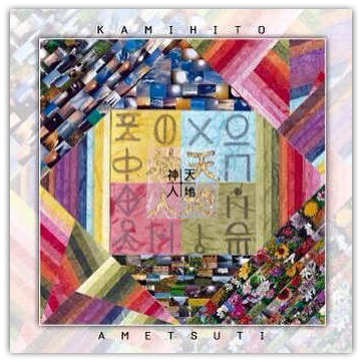 You may feel KAMINITO’s voice of singing around this time is deep unlike in recent days. 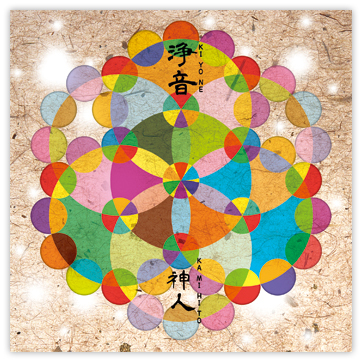 “Hifumi” is a singing of “Hifumi-Norito (Purification prayer of Hifumi)”. 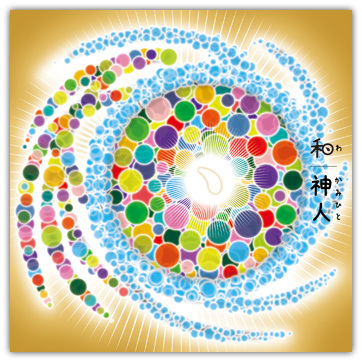 This tune is given by God as a song for purification by using power of spirits of words. 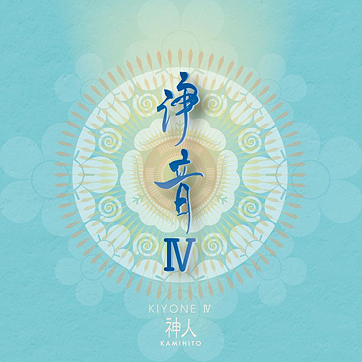 You can identify that KAMIHITO’s key is going up year after year to hear this CD. How far is his voice changing? 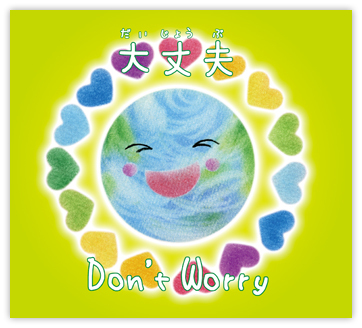 “Daijobu (Don’t worry)” is a cheering song. Why don’t you present this CD to your friends, family members or people who are suffering now with this CD to cheer them up? 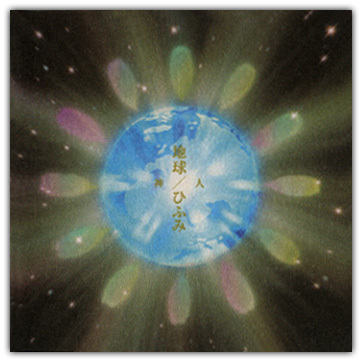 “Inochi (Life)” is released as the single from the first album. This song was newly arranged and released, hoping to spread the importance of life to many people. How wonderful this CD was produced! 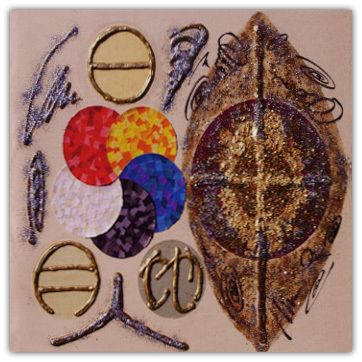 This CD contains a wish to cherish all lives of human beings, animals and plants. 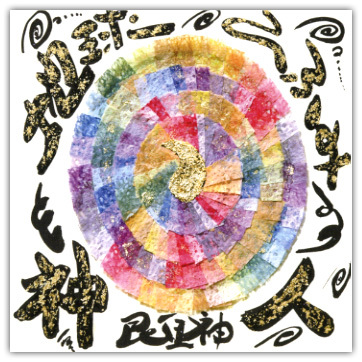 CD sleeve is designed by KAMIHITO with a taste of a picture with pieces of paper. 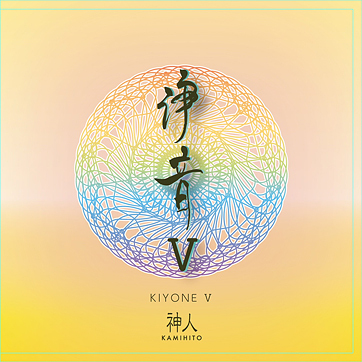 Renewal version of the first single CD. You can identify KAMIHITO’s key goes up and “how to sing” changes, while the songs were arranged differently. KAMIHITO has likely trimmed various things for about 4 years. 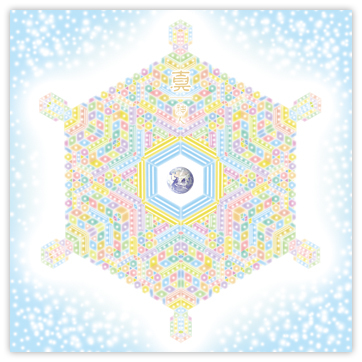 CD sleeve is a drawing of the thought of the future Earth through KAMIHITO’s channeling. Enjoy this picture book CD full of lovely and joyful pictures. You can see lyrics and pictures with the centerfold of a picture book CD. 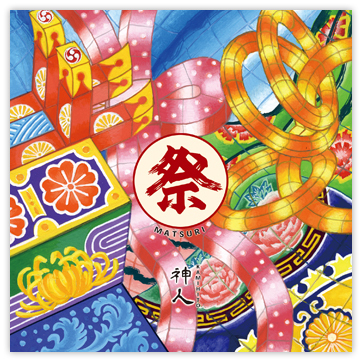 This is a new type of picture book CD of 44 pages (incl. 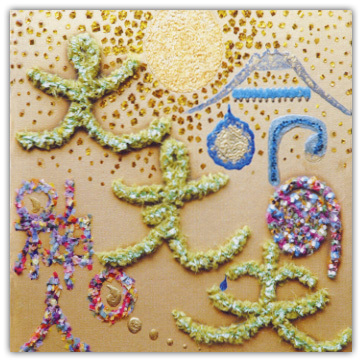 a cover), which includes a picture book and CD. 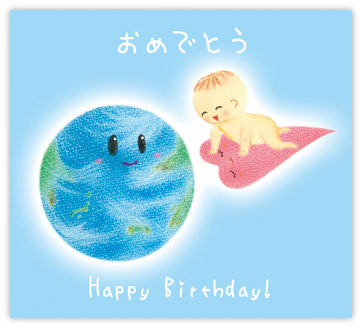 Please enjoy another “the Earth” presented with 20 beautiful pastel pictures as well as lyrics. Lyrics are translated into English to introduce the song throughout the world. 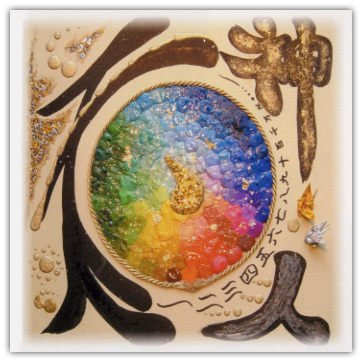 This picture book CD will serve as the best gift for people in foreign countries. 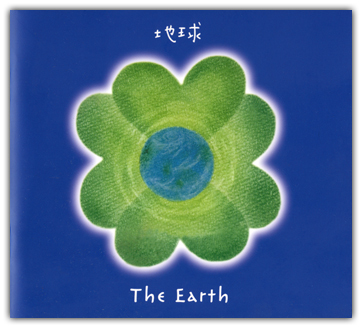 The song is “The Earth” renewed and rerecorded.